Purchase this product now and earn 2,695 Reward Points! It doesn’t taste like fish! 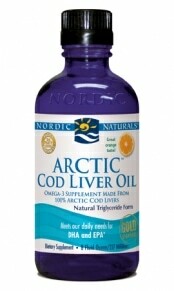 Purified Arctic Cod Liver Oil is available in these natural flavors: lemon, peach, orange, and plain (unflavored). 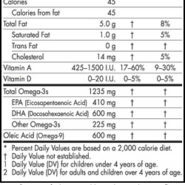 A great source of both DHA and EPA, our oil contains only natural levels of vitamins A and D (no added palmitate). 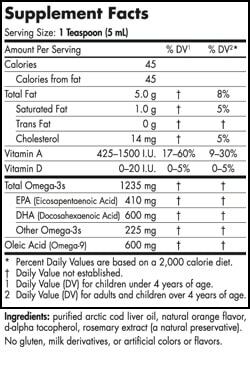 The highest level of omega-3 per milligram (mg) of any cod liver oil and three times fresher than the competition!